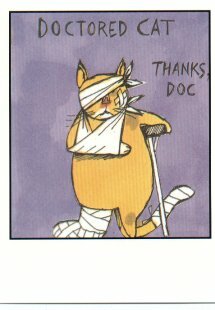 This cat thank you card is for the vet. Inside of card is blank so you can write a special message from the cat. Envelope included.